Another play by Sharon Pollock today: Doc. This is one of the Canadian playwright’s most acclaimed plays, having garnered her the Chalmers Canadian Play Award and the Governor General’s Award for Drama. Doc is an autobiographical play about Pollock’s family. Her father, Ev, was a workaholic physician and her mother, nicknamed Bob, suffered depression and alcoholism, eventually committing suicide when Pollock was 18. The play is unflinching and raw, particularly in the way it depicts Pollock herself with all her flaws writ large. Doc can be compared to Eugene O’Neill’s Long Days Journey into Night, because of its autobiographical nature and the examination of a deeply dysfunctional family. But Doc is a more nuanced and hard-hitting piece of drama, in my opinion. Reading Doc, I could understand why Pollock would have steered clear had she known what she was getting into. 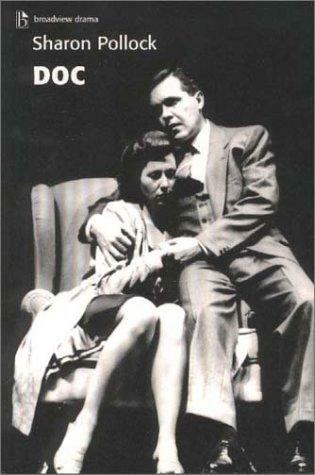 Not only is the play autobiographical, she also used real names, with the exception of her own. Apparently, in rehearsals, the director suggested that she change the name of the characters based on her to give herself a little distance. And, yes, there are two characters based on Pollock. Katie, Pollock as a young girl, and Catherine, Pollock in her 30s. Katie gets to experience things as they are happening to her and Catherine offers some perspective, looking back with the vantage of years and distance from her family. What makes this play so interesting is the blurring and shifting nature of time and the two versions of the author. One witnessing and reaching out to the past, while the other is oblivious and has to live through all the hurt, blind to the advice being offered. Sharon Pollock’s play Generations premiered in 1980. Set on a farm in Southern Alberta, Canada, the play could be about almost any farm in a period of drought, anywhere. The Nurlins have managed to keep their farm when all around them were selling up. They’ve hung onto it through sheer grit because Old Eddy poured his life into the land and losing it now would be a kick in the old man’s teeth. Old Eddy is pushing 80 and lives on the farm with his son Albert, Albert’s wife Margaret, and their son David. David has an older brother, Young Eddy, who has left the farm and become a city-dwelling lawyer. 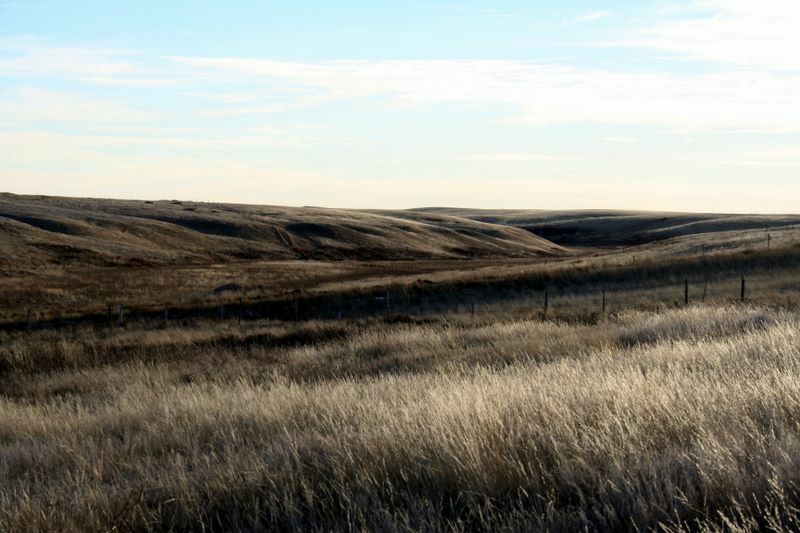 Generations reminded me a little of Sam Shepard, probably because the land has such a presence in the piece, and the family dynamics feel claustrophobic even in the vastness of the prairie. It’s not as dark as a Shepard piece, probably because almost all the characters are likeable. The tension in the play comes from external and internal forces. There’s been a long period of drought and the Native Canadians have blocked off the farmers’ access to water from their reserve. The protest is aimed at the government, but it is the farmers who will have to suffer first as Old Eddy tells Charlie, an elderly Native Canadian who he’s known most of his life. OLD EDDY: The thing is yuh agreed, and now yuh cut that water off, and we’re the ones that’s sufferin’, not the government, the farmers! Why the hell’re yuh takin’ it out on us? CHARLIE: You’re the only ones around. OLD EDDY: Hit the government, not us! CHARLIE: The government don’t use our water. OLD EDDY: Goddamn it, Charlie! CHARLIE: Yuh keep right on yellin’. Council says the government don’t hear us yellin’, maybe they hear yuh. The internal pressure in the play comes from Young Eddy’s return. He’s come back for something and it takes a while to get to the real reason for his return, which is to persuade his family to sell off a section of the farm to float his new business. The internal and external pressures cause the characters to face truths about themselves and bring relationships to a head. OLD EDDY: To be a farmer yuh got to have a soft spot ’bout the size of a quarter in your brain, and yuh gotta have a strip ’bout this wide a iron in your soul. Yuh don’t have that winnin’ combination, yuh gonna spend your whole life runnin’ scared in this place. Generations is a family drama about land, place and relationships. It’s an ode to farmers everywhere.